My husband and I are both avid snowboarders, we moved from Quebec to Whistler, BC over a decade ago to ride the biggest mountains and find the Pow that everyone has been talking about. 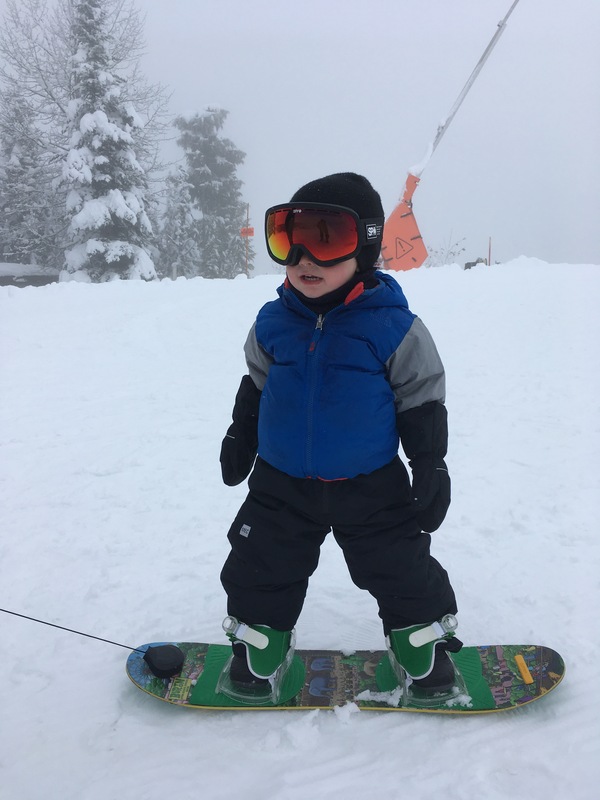 When our son Jackson was born, seeing him grow and learn new skills quickly just made me want to share our biggest passion with him, which is Snowboarding. 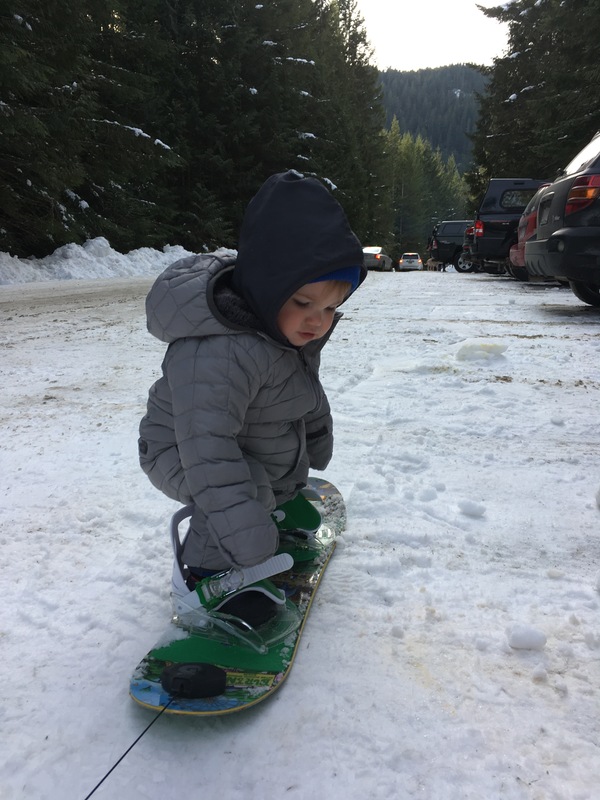 He got his first snowboard at 15 months old and for his first winter, we got him used to the feel of the board, being strapped in, pulling him around and going down small hills. Not all 15 months old likes the feeling of being strapped onto a board tho, and we didn’t want to push it on him so I can’t say that we had that much success for his first season, which happens, but since then, his snowboard is always around in the house and he gets on it and wants to be pulled around the house. He is ready for the 2017-2018 season. Don’t forget, this is all about having fun, We are not trying to train our kids for the Olympics at 2-3 years old, they need to enjoy themselves. Make it fun for them. 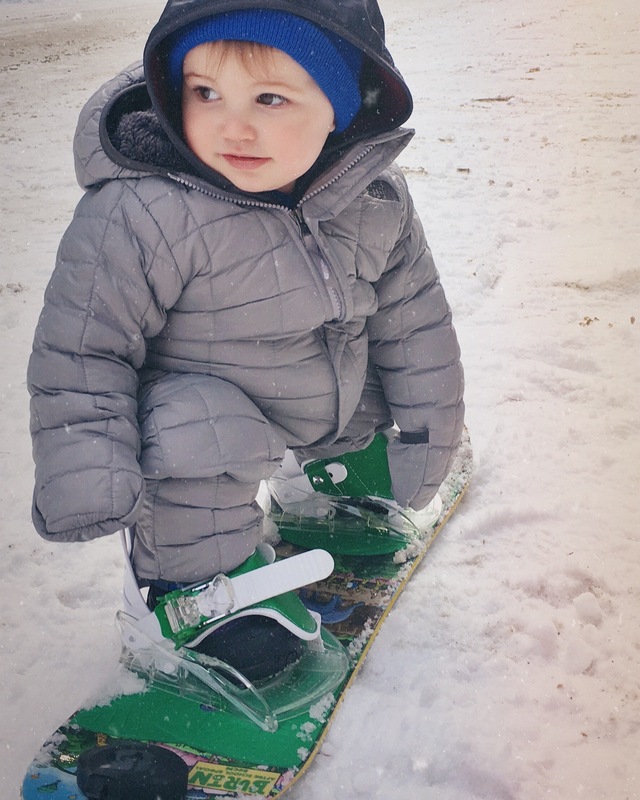 I like to have Jackson’s snowboard around the house all the time, he often asks me to pull him around, that gets him more and more comfortable with the feel of being strapped in. 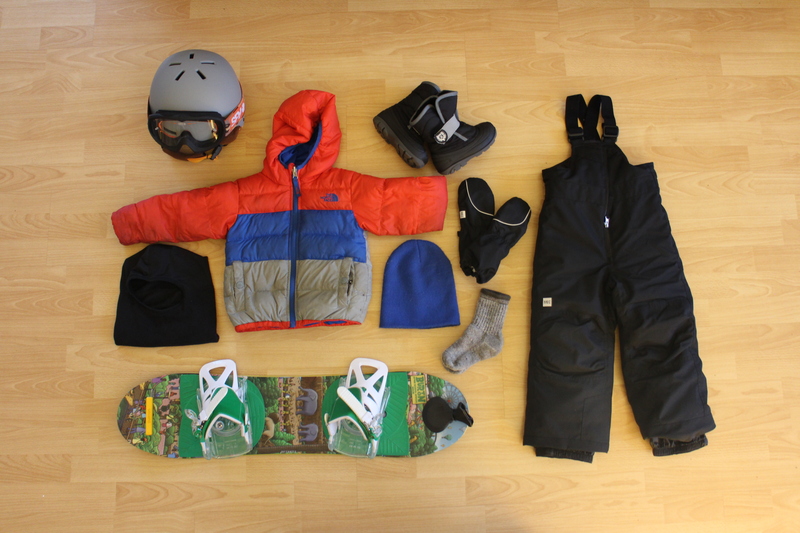 For their first couple times out on the board, I would suggest to just get on the snow with them, pull them around on a flat area, get them used to have their gear on, get them to pull their own snowboard around just so they become more comfortable with it. Sometimes it may only last 10-15 minutes and that’s okay. 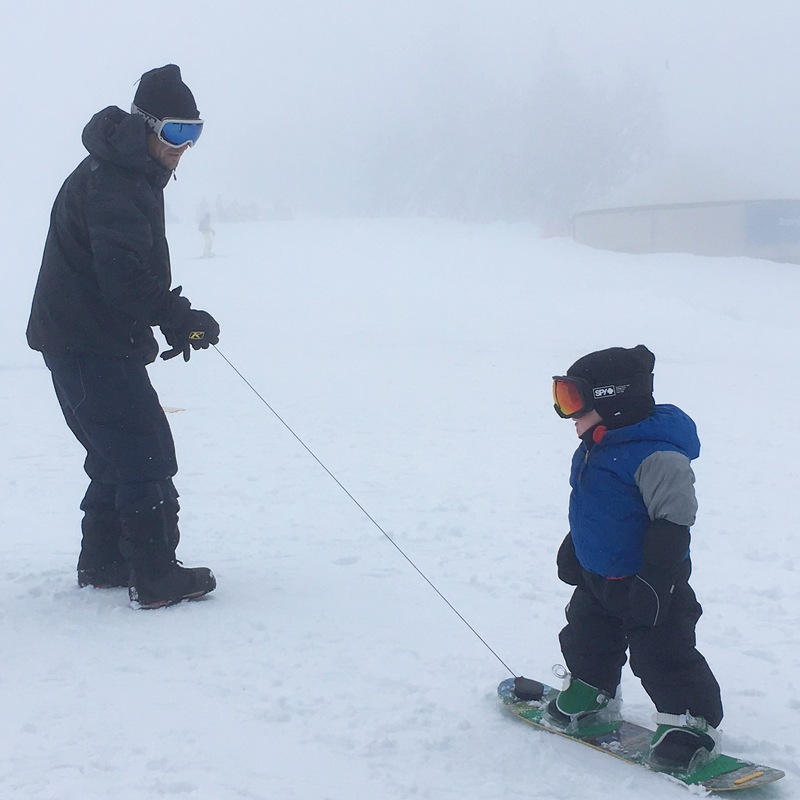 Keep on pulling them around, you can start going up and down slopes and make turns, that will help them learn their balance and adjust their body with the movement. They are smart and they will usually adjust themselves without needing any directions. Get on your board and show them how it’s done. You can show them how to use their hips to move around, how to jump, how to get back up from sitting on their bum. You can even show them how much fun it is to go down a small hill. When they see their parents having fun they often want to do the same. 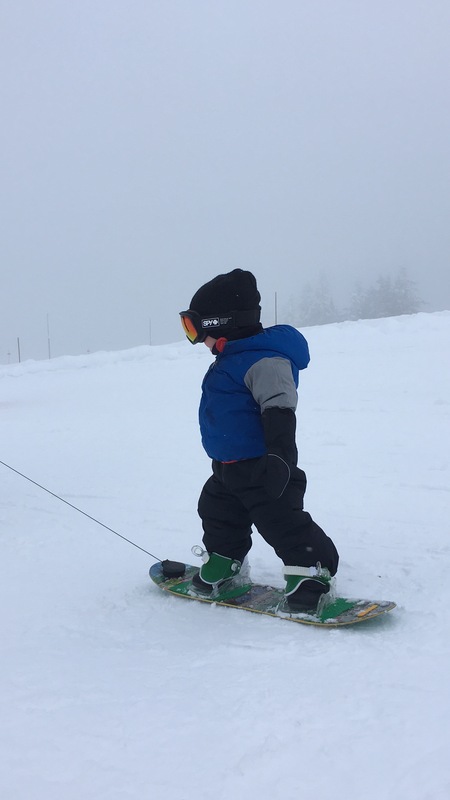 That’s about how far we got with Jackson’s first few experiences on his snowboard. The season here in Whistler just started so I will keep you update with more tips and tricks as the season goes. Have fun out there and stay warm. Hope to see you on the hill.